When I paint, it’s a spiritual journey with God. I pray through it and the completed paintings are a product of that experience. “The Hope of Glory” is a series of 15 paintings that I created while in Italy. Each was inspired by a different passage in the book of Revelation and infused with elements of the Italian culture I have seen and experienced. I love the process of creating art and the way I encounter God during it, but I have also learned to love sharing my work with others because I’ve seen them encounter God through it too. It’s humbling and exciting to be part of that – to see God use the gifts He has given me for His glory. I recently had the opportunity to share my art in my first ever official art show when The Hope of Glory made its debut! 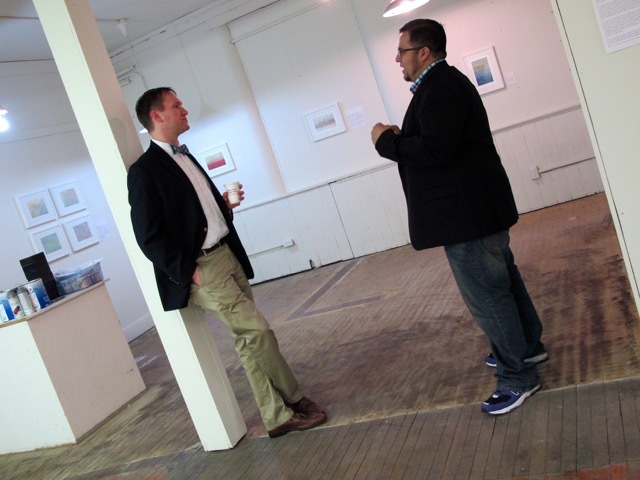 The exhibition was held at the MAKE Studio in Paducah, Kentucky. The gallery owner and artist, Kisja, was a wonderful host and it was a privilege to see my work showcased in her space. What hope do people have in this lifetime? Why do religious people have a positive outlook on life? What is to come after this life ends? These are some questions I hoped to raise and to address in the series. I explored some of these concepts by venturing to portray the biblical writings in Revelation using the color, form, and texture they inspired. The series was also influenced by my experience living in Italy. Two of the things that are deeply rooted in Italian culture are art and the Catholic Church. People are naturally very artistic there as if it’s in their DNA. As a result, they place a high value on beauty and its place in the world. Catholicism is also something that has a pervasive influence on their outlook and understanding of the world. The two elements collide since every city in Italy has a catholic church and in those churches you find different types of art that reflect their beliefs and culture, as depicted by famous artists commissioned by the church long ago. Much of the art I have seen in Italy, and the Italian art that is world-renowned, is based on the account of creation, the life of Jesus, and the Gospel writings. I wanted to compose a different concept from Scripture by looking at how it all ends as inspired by the book of Revelation. The word “revelation” comes from the Greek word “apokálupsis,” which means to reveal, uncover, or unveil. Revelation is a powerful book of the Bible that unveils the truth that there is a future hope for those who believe: the hope of glory. 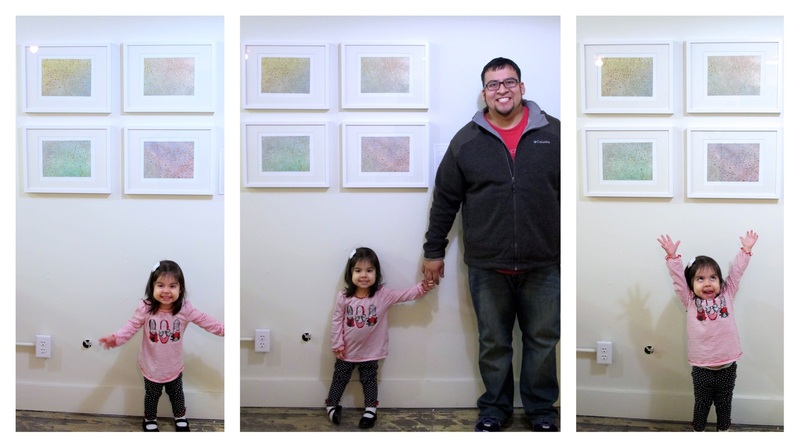 Arianna was pretty excited about “Daddy’s Art Show”! Each piece in the series was either created on a thick textured paper or on a canvas. A molding paste was used to create the texture you see. Then acrylic paint was added on top. A gold varnish was also used on each piece in this series. This particular gold varnish is something that can be seen in art throughout all Catholic churches in Italy. I intentionally incorporated that element with the goal of creating something different with it that would engage the Italian community and encourage them to look at it in a new way. In that way, their curiosity and the questions it stirred could be a bridge leading to conversation about the gospel. I had hoped for this series to be shown in Italy, but God brought us to the USA and is using it here. While the venue and audience for the show wasn’t what I had intended, I had to trust Him to use it as only He could. 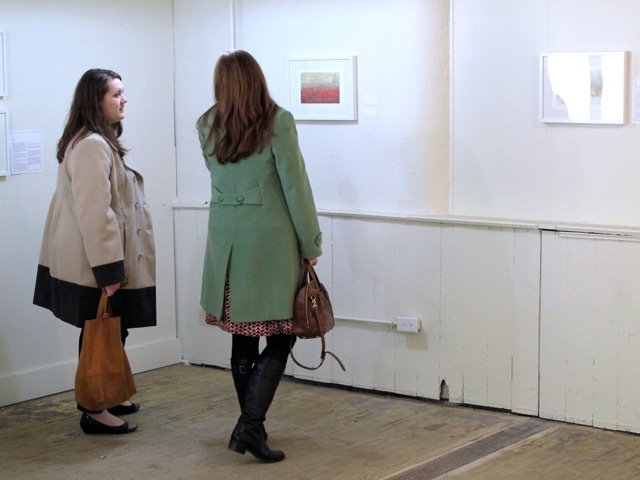 During an art show it is not uncommon for viewers to connect in a special way with a particular piece. God knows the heart and can use art to draw a person to Himself. Opening night – a momentous occasion for the whole family! Opening night proved to be no different. 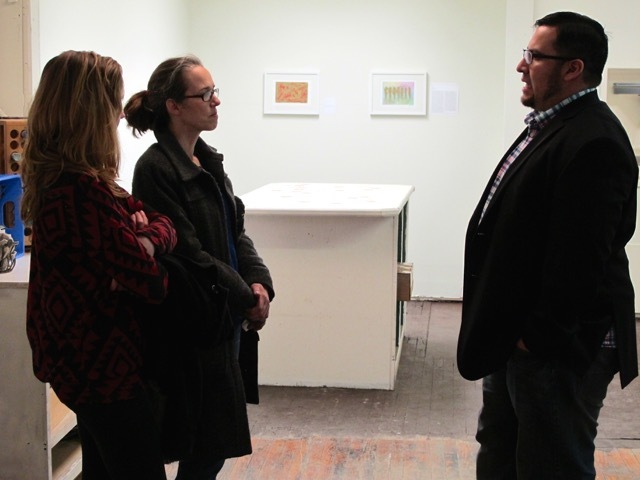 Many came through the gallery, believer and unbeliever, and engaged with the artwork. The response was great. I had good conversations all night long with people of all ages. They were asking great questions that showed how they were not just viewing the art but interacting with it on a deeper level. 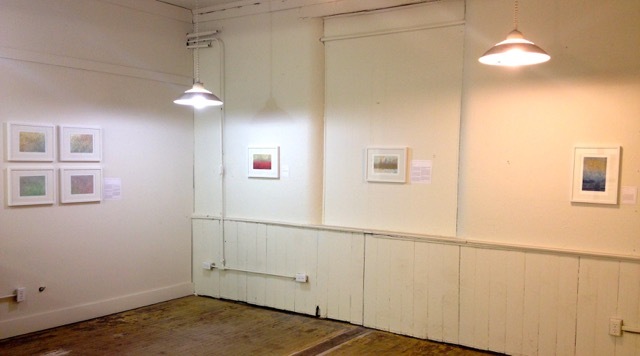 The following two nights of the exhibition were more of the same. The series of paintings hit every person in various ways and it was great to see God use it to encourage, challenge, and teach people about Himself. 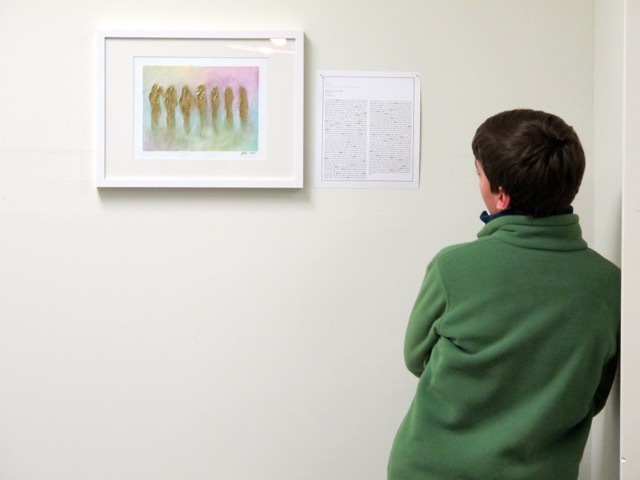 It was great to see people of all ages engaging with the art. One of the most exciting elements of this art show, as God orchestrated it, was that it gave me the opportunity to introduce the local church to arts ministry in a tangible way. A year ago, I visited First Baptist Church of Paducah to help them kick-off an arts ministry initiative. This year they made the art show possible and promoted it at the church and around town. Hosting the show meant they were able to experience it firsthand and get a glimpse of how it can be an effective type of ministry, especially in Italy where art is so central. 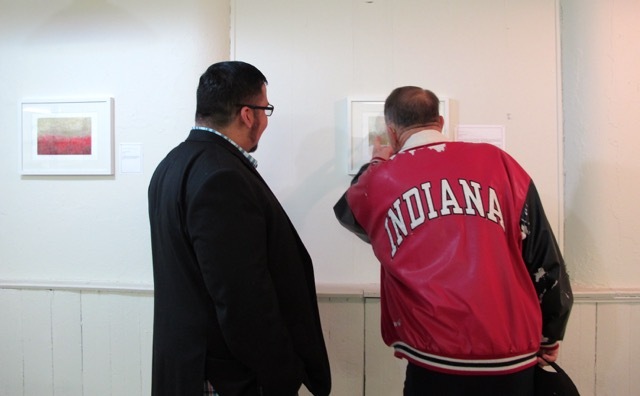 Hosting Jon and the art show was a fantastic way to connect with our local arts community, while at the same time providing for our own church family the opportunity to experience and participate in arts ministry. Jon’s deep love for people is obvious, and Christ has given him a winsome demeanor in the competing marketplace of ideas and ideologies. As a result Jon is uniquely able to help Christians think through how to present the gospel in creative and engaging ways among people “out there” in terms of distance from the evangelical bubble. In my opinion that’s just what the church needs for such a time as this. It was an honor to launch the Hope of Glory series with an exhibition supported by the FBC community and attended by residents of the terrific and unique city of Paducah. We are taking the art show on the road with us as we travel over the next few months and I hope you can come out and see it for yourself. Keep your eye out for when the show will be coming to a town near you or contact us here if you are interested in making sure we bring the show to your community! In the meantime you can visit hellotello.net to see the series on my website. Good morning Jon. I have been privileged to stand in your gallery this morning and see the work you are doing. I wish I could see it in person. It is truly beautiful and when linked with the scriptures makes me really yearn for His coming.